Pioneering aerodynamics. The Ducati 1199 Superleggera has the best power-to-weight ratio of any production motorcycle in history. In the world of the motor car, the XL Sport achieves something similar. 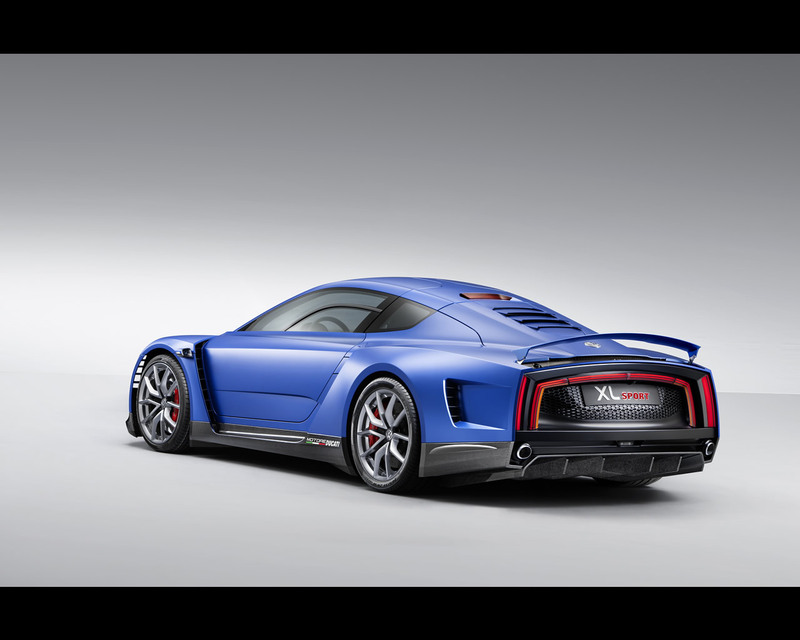 In this case it is the ratio between weight (890 kg), power (147 kW / 200 PS) and aerodynamics (cd x A = 0.44 m2) that currently makes this concept car the fastest 200 PS car in the world. No other sports car has ever reached a top speed of 270 km/h with 200 PS. One stand-out feature in this is the vehicle's aerodynamics. As indicated above, the coefficient of the drag coefficient (0.258) and the vehicle's frontal area (1.7 m2) is 0.44 m2. 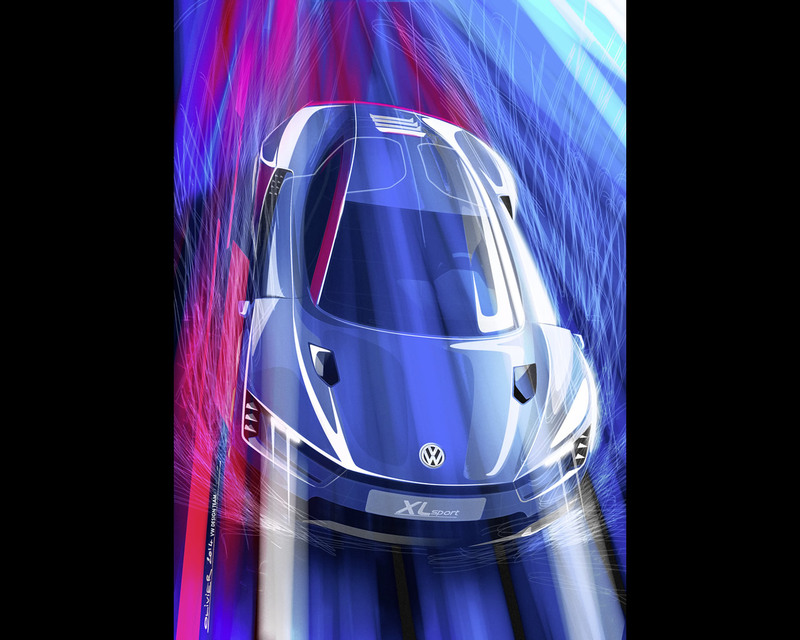 This is one of the best values ever achieved and a major triumph for Volkswagen's aerodynamics engineers and designers, made all the more impressive due to the fact that as a thoroughbred sports car, the concept's design brief demands wide tyres, a high requirement for cooling air and optimal downforce. 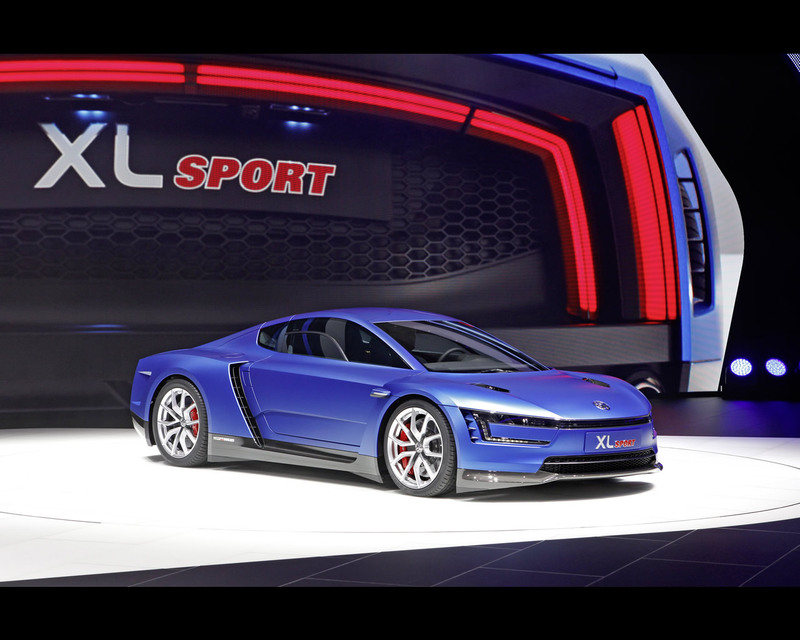 There are a number of individual features that contribute to the XL Sport's arrow-like performance in addition to the uncompromising aerodynamic styling of the body. These include special air curtains that direct the air in the frontal area into specific channels, wheel arch ventilation, a further optimised underbody, lift-reducing air ducts in the bonnet, an extendible rear spoiler (powered by the same unit as in the Lamborghini Aventador) and adaptive waste heat vents incorporated in the rear hatch (louvre that opens and closes automatically as required to conduct excess engine heat away). The world's most powerful two-cylinder engine. The Ducati 1199 Superleggera's V2 engine was slightly modified for use in the XL Sport but is basically the same as the motorcycle engine. Thanks to its tough, lightweight titanium connecting rods, the 1,199 cc DOHC engine can attain speeds up to 11,000 rpm. The Superquadro's high speeds are made possible by its extreme bore/stroke ratio (112 mm/60.8 mm) and the exceptionally short crankshaft stroke associated with it. In addition, the two four-valve cylinders, which are arranged at an angle of 90° to each other, feature a desmodromic valve control system (positive valve closure) that is typical of the high-revving Ducati engines and requires the finest of precision engineering to ensure optimum valve clearance. Other features of the world's most powerful two-cylinder engine are the magnesium alloy clutch, cylinder head and oil pan covers, the two disks of the throttle valves, and the two injectors per cylinder. Last but by no means least, the XL Sport has a newly developed intermediate gearbox to reduce engine speeds by a factor of 1.86. Torque from the V2 engine (134 Nm) is transmitted to the rear axle via a 7-speed dual clutch gearbox (DSG). Racing chassis. 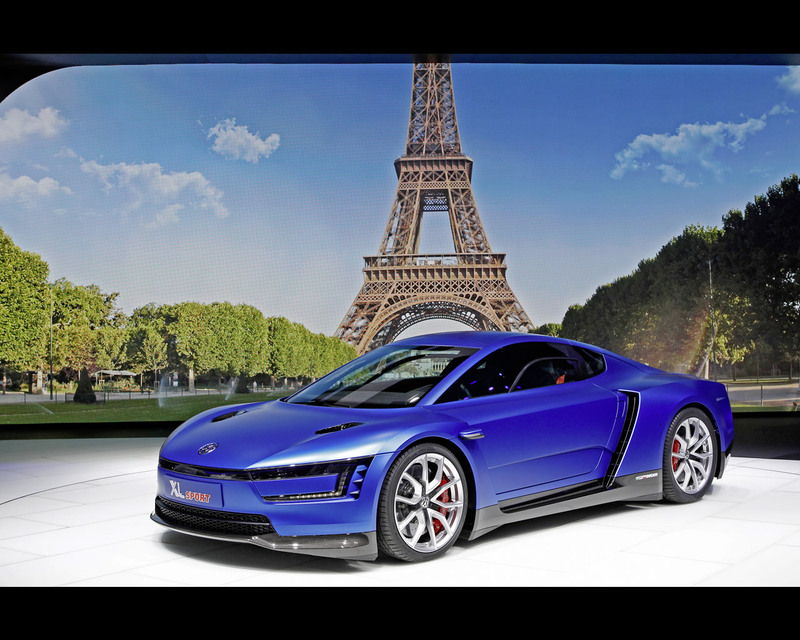 The way this lightweight sports car is propelled by its engine is worthy of some note. The car's acceleration from 0–100 km/h in 5.7 seconds almost becomes a secondary issue when considering the impressive combination of the vehicle's high-revving V2 engine, low weight, perfect aerodynamics and significantly redesigned chassis that together take the XL Sport straight into the realm of the racing circuit. The chassis, incorporated in a high-strength steel space frame, consists of a double wishbone front axle with the dampers connected below in a pull rod configuration, and a double wishbone rear axle with the dampers connected above in a push rod configuration – here too, the parallels with motor racing are impossible to overlook. High-speed tyres sized 205/40 R 18 (front) and 265/35 R 18 (rear) embrace forged magnesium wheels, which offer a total weight reduction of 23.9 kg compared with aluminium wheels. The XL Sport is decelerated by an extremely stable brake system with ceramic discs. CFRP body. The XL Sport is a sister model of the XL1. Both share the same basic design. The main element they have in common is the body, many parts of which are manufactured in carbon-reinforced polymer (CFRP), with a monocoque featuring slightly offset seats for the driver and passenger. Here, Volkswagen prefers CFRP components manufactured using the RTM process (Resin Transfer Moulding). The density of this material or its specific gravity is just 20% that of a comparable steel exterior skin, yet it is just as rigid and strong. Wing doors that swing forwards. 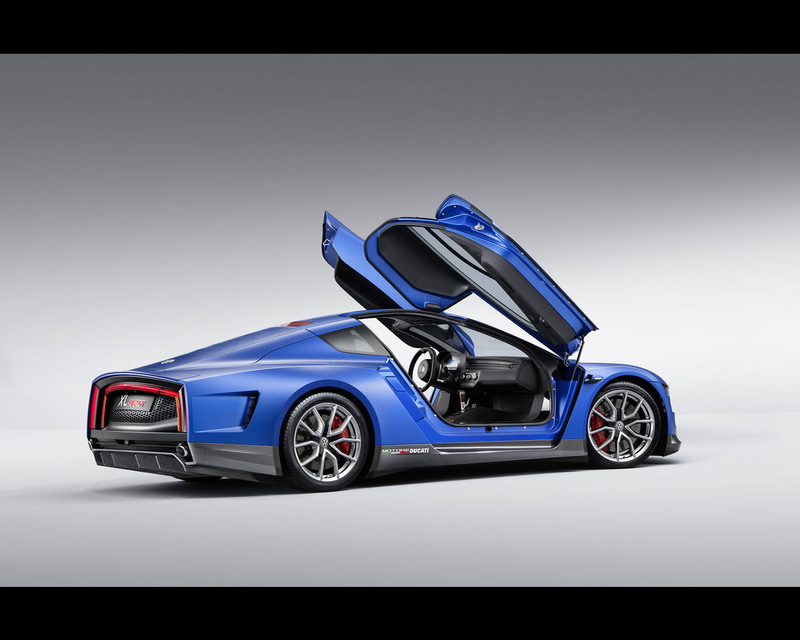 The wing doors of the XL1 and XL Sport are reminiscent of those of a high-end sports car. They are hinged at two points: low on the A-pillars and just above the windscreen in the roof frame, so they do not just swivel upwards, but slightly forwards as well. The doors also extend far into the roof. When they are opened, they create an exceptionally large amount of entry and exit space. The door windows are made of polycarbonate. The upper part of the windows is firmly attached to the exterior door skin due to the specifications of lightweight design, while a segment of the lower area of the side windows can be opened. The windscreen of both models is manufactured from a special type of thin glass. Compelling proportions. Despite sharing ground with the X1 in terms of its underlying design, the XL Sport has a look of its own. The reason for this is that whereas the XL1 was designed for uncompromising fuel efficiency, the design brief of the XL Sport took this a step further with the inclusion of uncompromising driving dynamics. 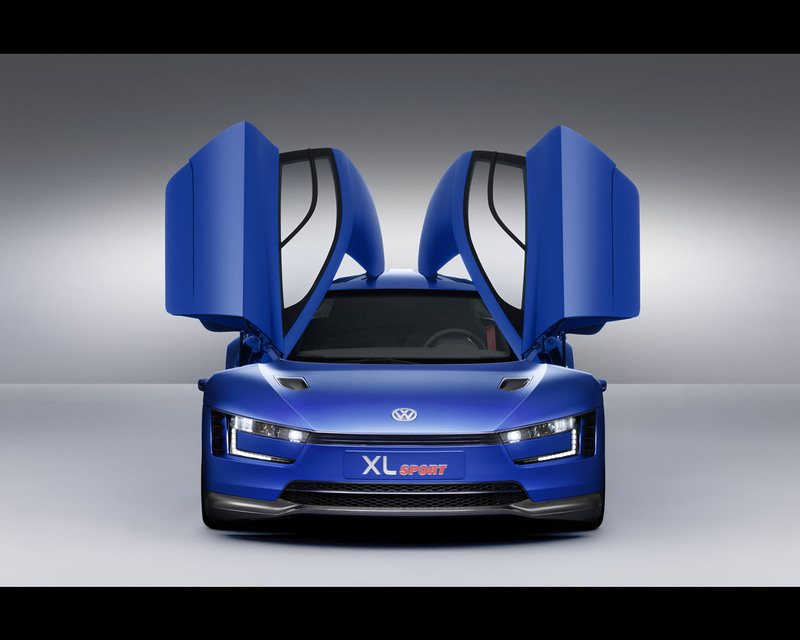 The special requirements regarding the downforce values of a 270 km/h car and the parameters of the drive technology led to the XL Sport being longer and wider than the XL1. Dimensions in detail: The XL Sport showcased in Paris is 4,291 mm long (XL1: 3,888 mm), 1,847 mm wide (XL1: 1,664 mm), 1,152 mm high (XL1: 1,153 mm). The wheelbase has also been increased to 2,424 mm (XL1: 2,224 mm). These proportions in themselves create a compelling look. Design concept. When extreme proportions encounter an innovative, progressive and precise design, icons are created. Such is the case with the XL Sport. 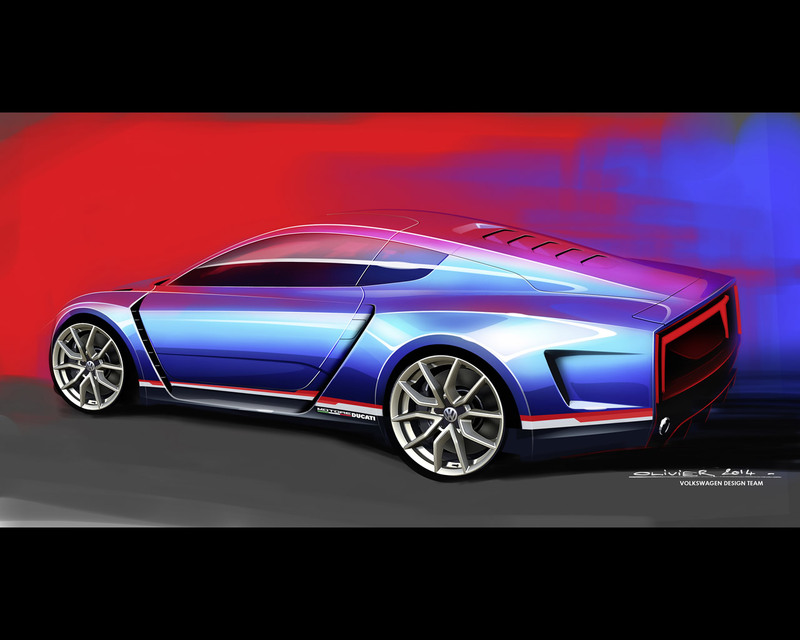 As outlined above, the concept car builds on the dynamic and extravagant design of the XL1. The monolithic surfaces have an even more muscular appearance as they extend over the significantly broader wings and the large wheels. With extreme proportions and lines which are powerful and precise in equal measure, the XL Sport is broad and low on the road, dominating it with an untamed dynamism even when stationary. 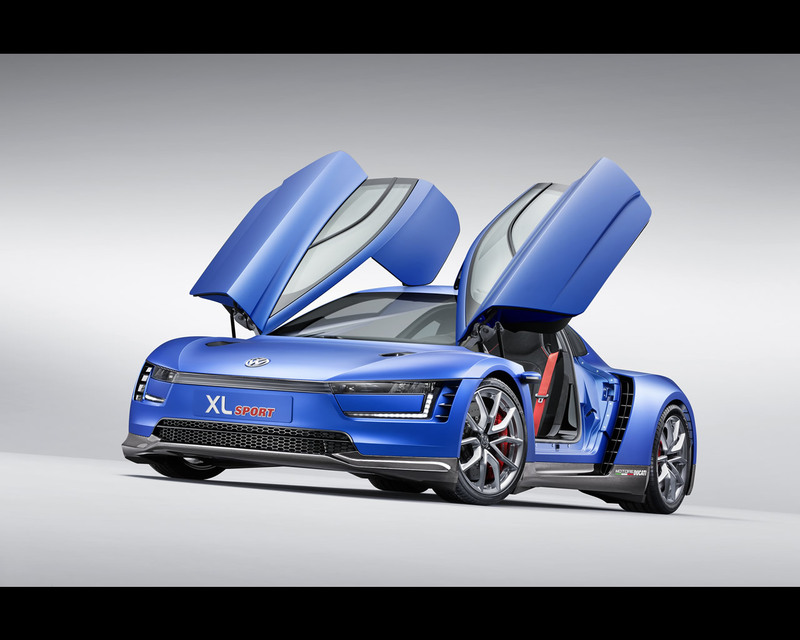 The precise, clear surfaces and shapes of the XL Sport are more than just the expression of a sporty aesthetic: the aerodynamic engineers and designers have worked hand in hand to create a sculpture that is both highly appealing and aerodynamically perfect. The design of the front section. The broad front section of the XL Sport exudes an unmistakable charisma with its dual LED headlights and the signature of the LED daytime running lights that is characteristic of the XL1. As mentioned, the front of the XL Sport features air intakes on each side of the headlights for the air curtains which feed the air optimally around the car's bow and front sides. 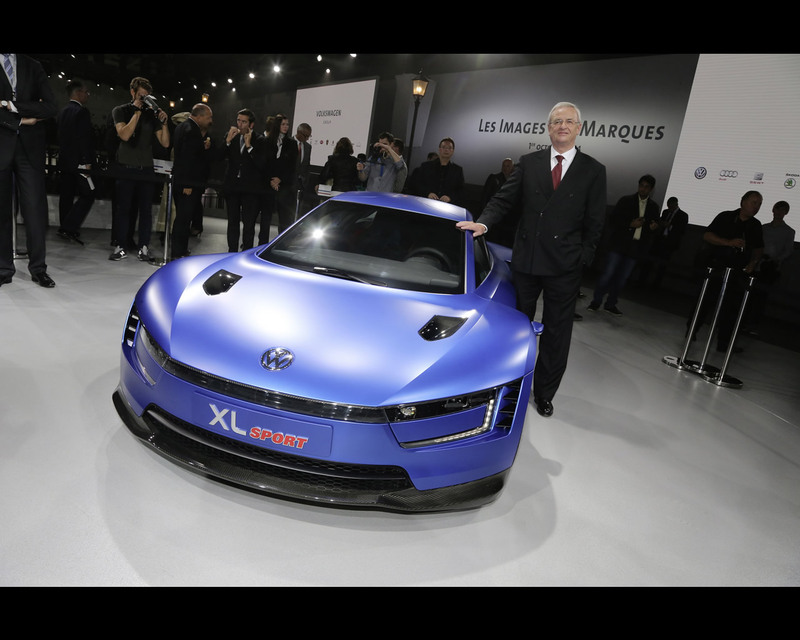 In common with the X1, the front section of the XL Sport does not have a conventional radiator grille, yet it retains the current Volkswagen design DNA, with horizontal lines dominating this area: specifically, a black cross-stripe combines with the dual headlights to form a continuous band. The actual air supply for cooling the Ducati engine is via vents in the rear wings. The design of the silhouette. Whereas the XL1 is at its widest at the front and tapers towards the rear, the XL Sport is just as wide at the back as at the front. From above, the shape is that of a classic racing car, with the doors retracted like a waist. Looking at a side view of the wings and doors it is obvious why: here, at each of the A and B pillars, there are distinctive air inlets and outlets to ensure an optimum air flow and for cooling the drive unit. In addition it gives the silhouette an exciting stretched appearance that promises power yet exudes a rare elegance and a timeless beauty. Observers will look for door mirrors in vain; replacing them are small streamlined cameras integrated in the wing doors: e-Mirrors (digital outside mirrors) that send images of the surroundings behind the car to two displays inside the vehicle (e-Mirrors made their debut in the XL1). In front of the rear wheel arches, 'Motore Ducati' lettering refers to the 1199 Superleggera engine in the rear. The design of the rear section. As illustrated, the XL Sport gives off a completely different impression compared with the XL1, especially at the rear, as this is now significantly wider. At the same time, the new XL Sport also has four specific features that catch the eye. First, the extremely wide, flat rear with its distinctive shoulders (powerful, wide surfaces above the wheels) and the extendible rear spoiler which occupies almost the full width of the vehicle's rear end. Second, as with the XL1 there is the coupé-shaped roofline without rear windscreen. Merging into the roofline is the rear hatch that conceals the Ducati engine, the 7-speed DSG and 107 litres of luggage space. Another new feature of the XL Sport: a louvre comprised of five slats that are seated flush in the rear hatch, which, depending on the temperature, open automatically to cool the drive unit. Third, the iconic red LED ribbon that follows the shape of the rear section. At the sides the ribbon is framed by another, vertical, LED element which serves to emphasise the width of the XL Sport. Fourth, there is a black diffuser that merges almost seamlessly into the completely enclosed underbody and is finished at each side with a chrome exhaust tailpipe. Interior design. The interior of the XL Sport is based on the interior of the XL1, but has been modified and individualised with a number of special details conforming with the complete realignment of the vehicle's dynamic. For example, the XL Sport boasts a characteristic digital instrument cluster specially designed for motor sports, with an individual lap time and oil pressure display. A flat carbon part that extends the top of the instrument cluster covering to completely eliminate reflections. 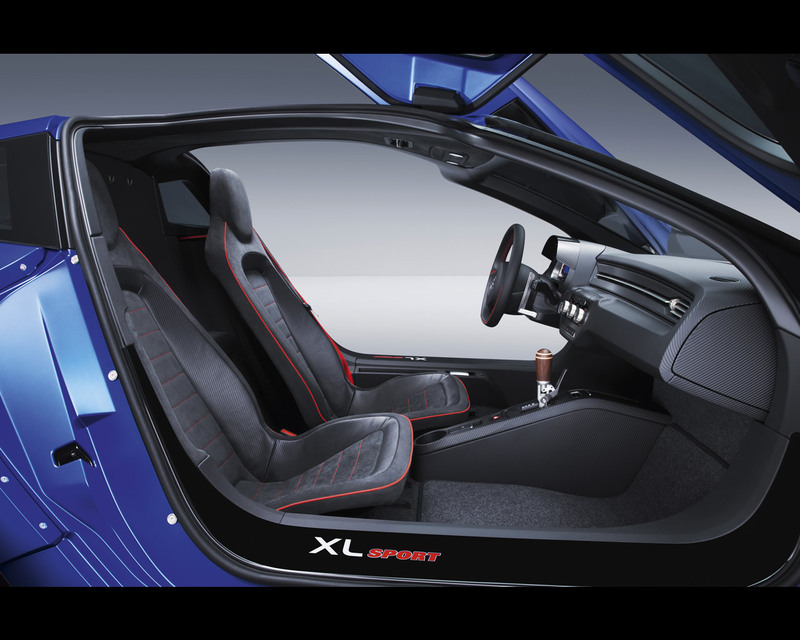 The XL Sport's steering wheel has decorative red stitching and has been equipped with aluminium shift paddles to facilitate ultra quick gear shifts. There are further classy details to add a sporty touch, with anodised aluminium accents around the air vents, the climate control fascia and the DSG shift gate. Picking up the theme of the contrasting red stitching in the steering wheel, the seat belts are also red. No changes have been made to the perfect ergonomics enjoyed by the driver and passenger.